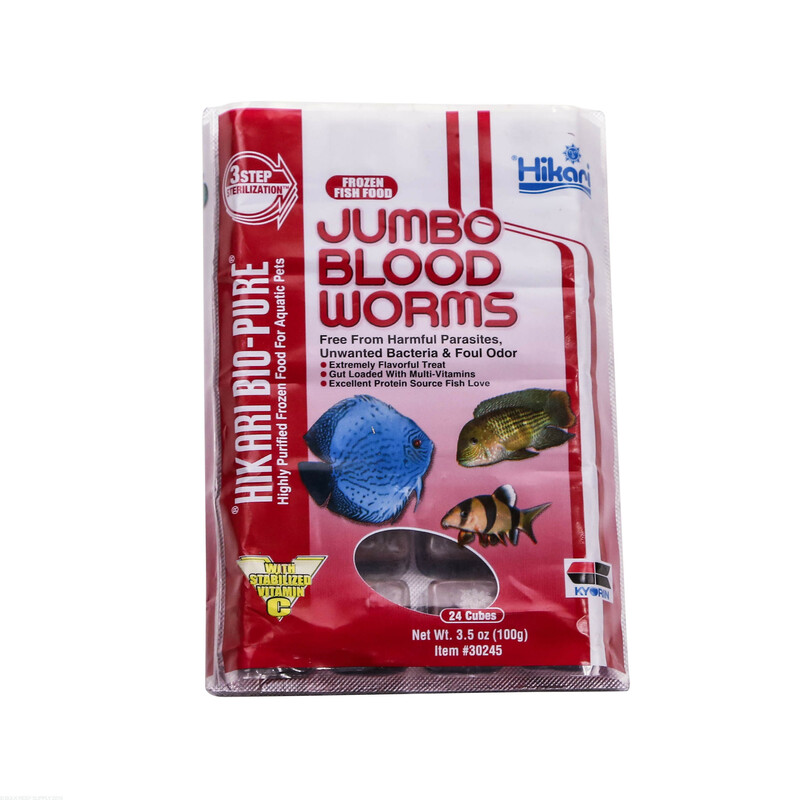 Blood Worms are one of the primary protein based foods fed to freshwater aquariums. Blood Worms have a red iron-porphyrin protein which is found in the blood and tissue of the worms giving them their deep red coloration. 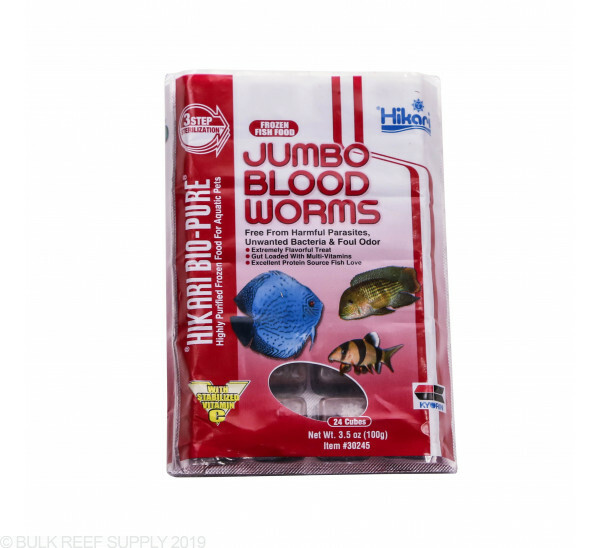 Jumbo Blood Worms are 2.5 times the size of standard blood worms making them perfect for larger freshwater carnivorous fish. Feed only as much as your fish will consume in a 2 minute period multiple times a day. Fish will naturally graze throughout the day and by offering foods at different points throughout the day will give the best results in overall health.